Visitors that don't have much time but still want to see as much of Reykjavík are advised to join a guided tour of Reykjavík. TT13 - Greater Reykjavik Area Sightseeing https://www.tour.is/day-tours/greater_reykjavik_area_sightseeing Those who have more time to explore the city and wish to take a look at the main sights on their own, either by foot or by car will find a lot of interesting places to visit. Reykjavík is quite a trendy city and despite being a very small capital, compared to most capital cities in the world, the locals claim it has the same things to offer as many big cities, - and sometimes even more. Hallgrímskirkja Church and Perlan are landmarks in Reykjavík. Hallgrímskirkja Lutheran church is the largest church in Iceland, named after a clergyman and a poet who wrote the well known Passion Hymns. The church tower is 73 meter high and makes it one of the tallest buildings in the country. The tower is open to the public and a view from the top is stunning. In front of the church there stands a statue of Leifur Eiríksson who discovered America in the year 1000. Leifur Eiríksson – or Leif the Lucky as he was called, was the first European to set his foot on American soil. The statue was made by an American sculptor, Sterling Calder and was a gift from the United States on the millennium anniversary of Alþingi in 1930, the oldest still existing parliament in the world. Perlan is a combination of many things. It is a glass dome, built on top of six hot water storage tanks that are, with the exception of one, used for storing briefly natural hot water from the ground used for heating Reykjavík. In one of the tanks, the Saga Museum has been set up, focusing on the past sagas of Icelanders. After Perlan was built in 1991, it became a very popular attraction for locals and tourists. At the top of the glass dome, there is a revolving restaurant. There is also an outside viewing deck around Perlan, from where there are spectacular views over the city. Höfði House is also a place of interest. In Höfði House that was originally built in 1909 by a French consul was in 1986 a meeting place of ex presidents Mikhail Gorbachev and Ronald Reagan. This Summit meeting is considered on of the most important meetings in recent times as it marked the beginning of the end of the Cold War. The National Museum is well worth a visit. It is located near the south end of the lake Tjörnin in the center of Reykjavík. It focuses on the cultural heritage of Iceland from the time of settlement to the preset day and provides a comprehensive display of the past 1200 years history of Iceland. Harpa is brand new concert and a conference hall, completed in 2011. 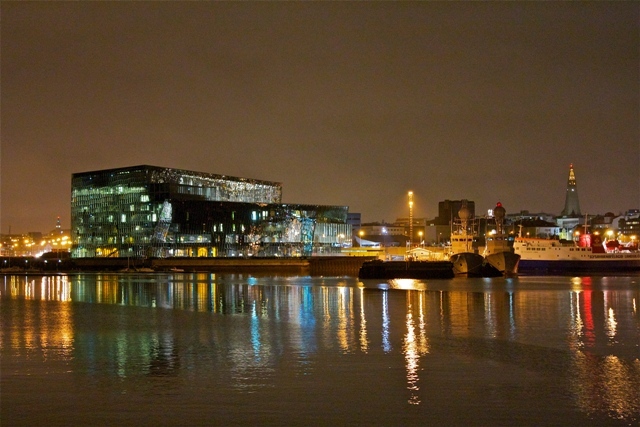 It is built right in the heart of Reykjavik by the old harbour. Guided tours of the building is available daily at 11:0 and at 15:30. The tour takes about 45 minutes. Harpa is definitely a must see on any Iceland tour. Reykjavík Botanical Gardens and Zoo Reykjavík Botanical Gardens Is a popular outdoor recreational area with a collection of around 5000 plant species that gives a good overview of the great diversity of the sub arctic Icelandic vegetation. Reykjavík Park and Zoo is located next to the Botanical Gardens It is a home of 19 species of wild and domestic farm animals.